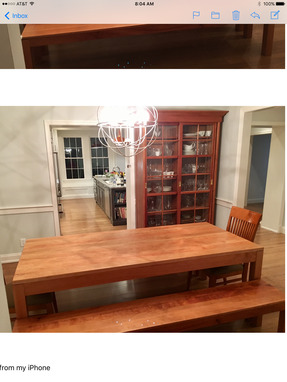 A collaborative effort by craftsman & customer that resulted in the final design of the Cherry Dining Table with Benches; the Dining Table is 38" wide x 84" long x 30" high. 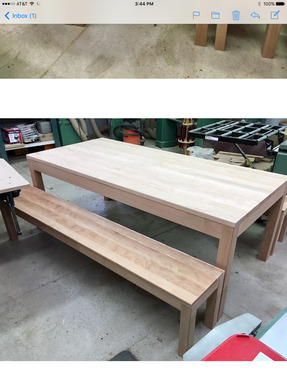 Side rails are secured to the 3" square legs with mortise & tenon joinery; the same construction for both Benches. 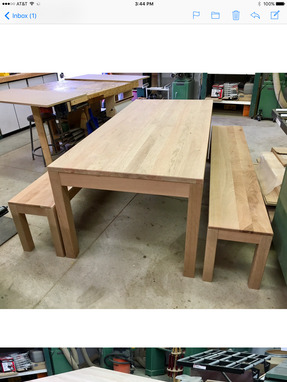 Customer wanted no table top or bench top overhang, preferring both to be flush with the legs & rails. 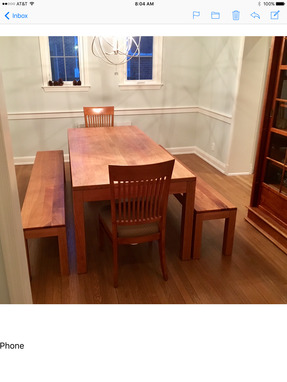 The finish included 3 coats of a satin polyurethane, each coat sanded & wiped off with a tack rag. 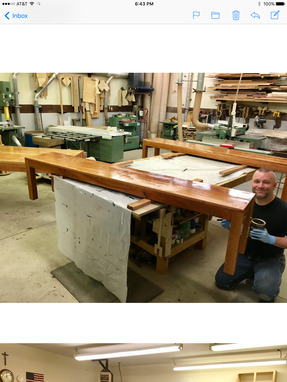 A final application of wax was applied by hand, followed by buffing by hand. The Cherry Dining Table & Benches will darken with age due to the sunlight & will eventually take on the color/hue of the cherry China Cabinet, which the craftsman made several years earlier for the customers. 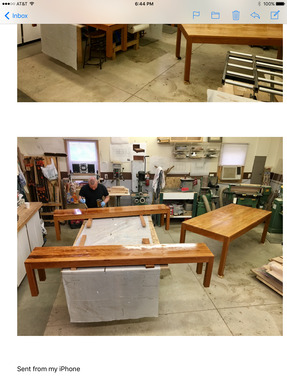 NOTE: Cherry Dining Table with Benches may require more than 12 weeks for construction due to availability of cherry. Please contact craftsman through Custommade.com for details. Shipping is extra.